I’m a notetaker. As much as I rely on my iPhone/iPad for everything else in my life, I’m old fashioned when it comes to taking notes and making lists. I’m constantly writing (and re-writing) to-do lists, or jotting down blog ideas. 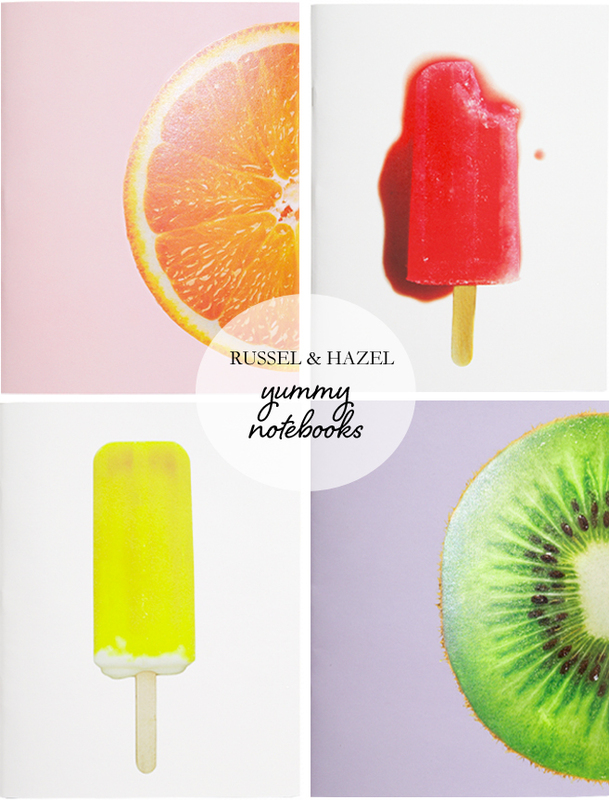 I usually stick my Graphic Image notebook, but it might be fun to mix it up with these Russell & Hazel “Yummy” composition books. I love the bold graphics; and if notebooks were ever considered “seasonal,” these are right on for summer. these are yummy! I, too, love to make a handwritten list and cross the items off as I complete the task! Wow! I would be craving a popsicle every time I wanted to write something! LOL! Just ordered the orange notebook and cannot wait to start using it. It will be a “fresh” addition to my desk.